Here’s it’s coming, I can see it, hurtling like a shooting star through the midnight sky – whoosh!! Go on…..catch it, catch the crazy curve ball…. Are you ready to take on the challenge of catching the crazy curve ball of life? This thing’s fast, furious and forever fetching. Keep your eye on the ball – watch it, will it towards you and weather the storms that try to shake your stance. Visualise yourself, everyday catching the crazy curve ball, I know you’ve got this one, I know you’re strong, brave and full of determination. There is no crazy curve ball out there, that’s gonna take you down. Let’s smash this one, catch the crazy curve ball!! Do a little bit of good today or even better, do a lot of good today. When you do good, you feel good and this creates positive ripple effects from you to others -it’s like the domino effect!! Get in the mood to do some good. It’s your life go get it!! Sometimes it’s good to add a little spontaneity to your life, you know, spice it up a little and put spontaneity in motion. Spontaneity can be a breath of fresh air into ordinary living, it can add excitement to a rather motionless day. One door is closed, but many are ajar. 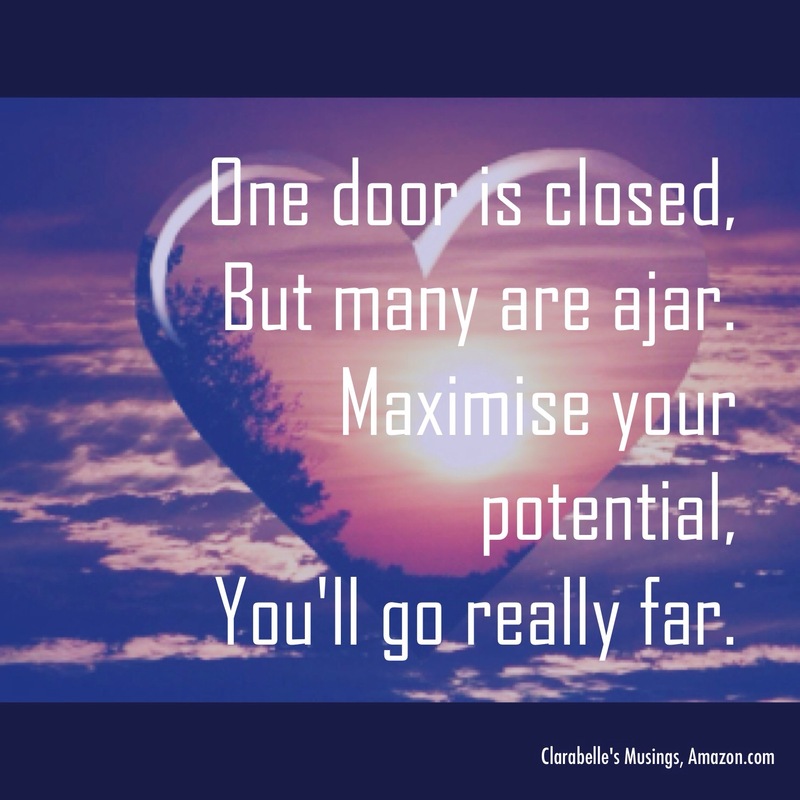 Maximise your potential, you’ll go really far. And stick with “I can “. To light up the room. And a little but more. Stand in front of the mirror today and tell yourself a more positive story. Look at the beauty in your eyes, feel the love in your heart and the faith in your soul. See how very special you are, you are unique and you have the greatest potential to be whatever you want to be. This next poem is for you because it’s all about telling yourself a different story……let this be your true love story to yourself. Love Clarabelle. What if I change these words I say? What if I think in a different way? 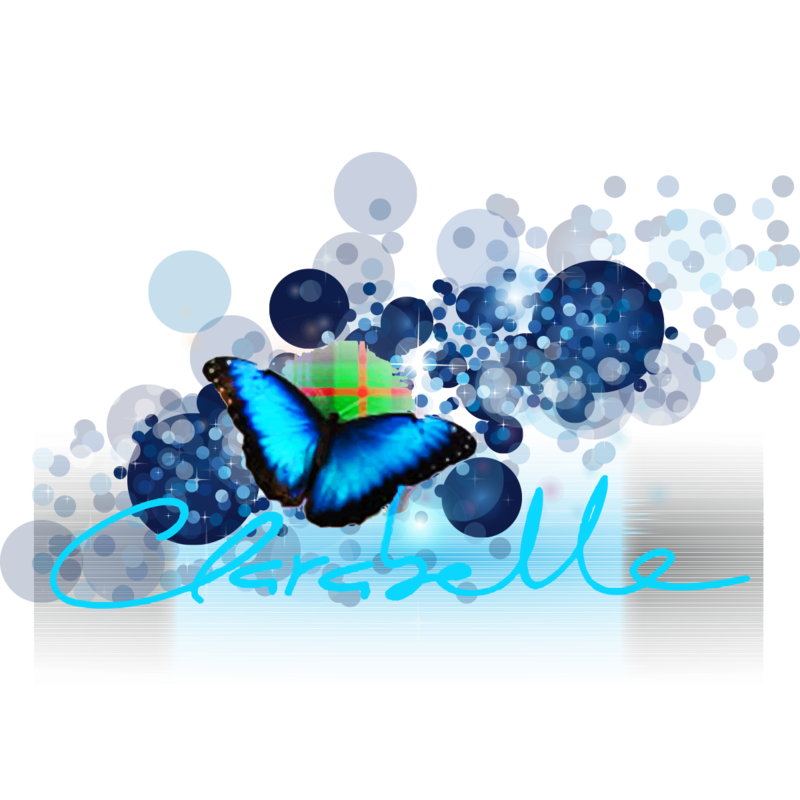 I want to give a massive thanks to YOU for visiting this Clarabelle blog. Just over a month ago I was celebrating reaching 10,000 blog hits and yesterday I am amazed to say that I reached 12,000, this is the fastest growth ever to date. I want to give thanks to all the other bloggers, guest bloggers, facebook friends, linkedin connections, twitter followers and all other visitors who take the time to come and visit my blog and read, like and comment on my posts. I truly LOVE doing this blog, I choose to put a lot of love and positive energy into it because I am passionate about what I write and share with you. I don’t plan in advance what I want to write, I just write what feels right at the time……and I really do hope it adds value to your day. Thank you for your full support, encouragement and inspiration and I really do mean that. May I introduce you to a wonderful and talented poet, Maureen Turner. I know you will love Maureen’s work, she is such a beautiful and heartfelt writer. Having had tragic circumstances to deal with in my life with the sudden loss of my twin brother, husband and father all within a close space of time, I felt I had to write down some of my thoughts in the form of a poem to try and give me strength to get through such sad times, I feel that poetry helped me express my emotions and hopefully will encourage others to read them and take strength from them to carry on each day and look at every day as a blessing, I now try and look at life in a more positive way and have realised that through time we all get stronger. In our lives the sun may shine, some days I wonder why not in mine. with a spring in your step, you go about your day, but what about those who are not made that way. Sharing your laugh and sharing your smile, means a lot to those who haven’t felt that in a while, they say try to be bubbly, try to be fun, but that’s really hard when you live a life where there is no sun. Look in the mirror say what you see, tell yourself is that really me,the frown on my face those unlit eyes, what happened to that smile that could light up the skies. Pick yourself up get back on track, watch out my girl or you’ll take a step back. So here I am smiling today and I have to tell myself ‘there is no other way’. 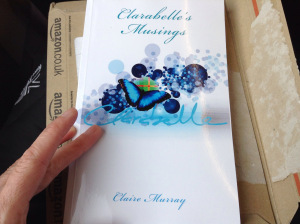 Maureen has created a beautiful ebook of her own poems and if you would like to know more about Maureen’s work, please email me at claire@murraypeople.com and I will certainly put you in touch with her. I am currently training to become a Mental Health First Aider and at the start of the training yesterday morning, each attendee was asked to select an object from their bag and explain to the whole group why it was interesting or important to you. I brought out a little keyring that was given to me a few weeks ago – let me share the story about it…..
A client and good friend of mine were having lunch in the newly opened Zizzi’s Restaurant, Royal Exchange Square, Glasgow City Centre. After our main meal we ordered deserts which took a very long time to arrive. The waitress very kindly and sincerely apologised to us for the long delay and told us that there would be no charge for the deserts – we thought that’s a lovely gesture. About 10 minutes later the Manager of the Restaurant came up to our table and he handed my friend and I a little keyring each. He apologised again for the delay with the deserts and said that the keyring he had given us would give us free deserts for LIFE when buying a main meal in the restaurant anytime in the future. We thought WOW, now that seriously is a lovely LOVELY gesture and we truly thanked him for this, we certainly did not expect this kindness!! The goodness of this person has now indeed spread, as I continue to share this story of kindness with others. If this situation was handled in the opposite way of this, it could have been a whole different story. The power of kindness is very empowering. Have you ever had a kind experience like this? If so, please share it in the comments section below. I was looking after my 3 year old niece the other week whilst her parents went off to pick up their new puppy dog. I love watching my little niece she is such a funny, cheery little girl full of character and excitement. She was happily looking out of the window into my back garden when she shouted “look Auntie Claire, they’re dancing”, I asked her what was dancing and she said “the trees are dancing” and she began to copy the swaying movements of the trees blowing in the wind outside. It was so cute to watch, I smiled and I thought to myself what a truly wonderful positive perception she has on Mother Nature. Later on that day I kept thinking about my niece’s words and how she could have said something completely different using a more negative connotation, but she didn’t. I then thought about my younger sister, who is such an amazing “Mummy” and how positive and happy she is. I just know that my sister’s love for nature and optimistic outlook on life has made such a positive influence on my little niece’s young life. It made me think about how important it is for us all to choose to have a positive mindset and positive take on the world. Like in those famous lyrics sung by Whitney Houston “I believe the children are our future” – I do hope the trees stay dancing!! “It’s a new dawn, it’s a new day, it’s a new life for me and I’m feeling good”…..these words beautifully sang by wonderful Mr Michael Buble, a very uplifting song indeed. If you or someone you know is needing their spirits uplifted, then maybe, just maybe this next poem might do it for them, share away, as it might make someone’s day. Lots of love to you, Clarabelle. Get out of that bed, life is divine. Get dressed, put your shoes on, and go for a walk. Turn your life around, pick up the pace. Opportunity awaits you, open the door. To commit to a better future, this is your role. You can also listen to the Poemcast of this blog at Clarabelle’s Poemcast Channel, please click on the link below to listen. PBC Poemcast 17 – How to Create a Vision Wall? What gave you the idea of creating a Vision Wall? I am a highly Visionary person and I am really self-motivated by working towards achieving my goals in life. I have come across the term ‘vision board’ before and thought about creating one about 4 years ago but never really got round to it. I am so glad I waited until now to do one, as I have grown so much as person over the last few years and feel that the Vision Wall (its new name), I have created now is much more purposeful, meaningful, in direct alignment with my core values and absolutely 100% true to myself. One of my Facebook friends from America was talking about creating a Vision Board about a month ago and this then inspired me to do one now. I felt I was definitely ready and fully committed to doing this. What creative process did you go through to create your Vision Wall? Firstly, I did some further research on creating Vision Boards (the original name). 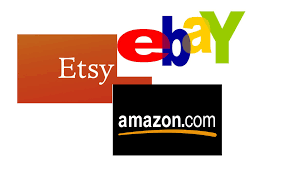 I researched on the internet and came across various blogs and websites about different processes. I then decided to fine tune and adapt that process to what I felt would work best for me. So the following steps are based on that and completely bespoke to me as an individual. This part took me about 2 hours. I then looked out a number of magazines, brochures, newspapers that I had lying around the house that I wanted to start going through and cut out the words and images that made an inspiring connection with me. This part took me about 3 hours. I wanted to make the experience as enjoyable as possible, so I did some research into what music would compliment the creative process. I chose a variety of music that I felt would work for me, such as Classical, Meditation, Motivational and Self-Hypnosis tracks. I got most of these from searching on Youtube. This part took me about 1 hour. When the time was right, I closed myself off from all distractions, played my music and started going through all my magazines and brochures and cut out words and images that made a real connection with me. This was a very inspiring part of the process, I could really feel myself getting excited about the significance of what I was coming across. This part took me about 6 hours. Once I had looked through about 20 magazines/brochures, I was happy that I had cut out everything that made a real connection with me. I then headed off to the local supermarket (Tesco) as I wanted to buy paper, crayons, glue etc…. to start my Vision Board – this was when the name changed from Vision Board to Vision Wall as I knew one piece of flipchart paper would not be suffice or indeed be as empowering, I knew it had to be much more than that, so I purchased a roll of white paper, 5 metres long to do the job. Thus the name Vision Wall was born. This part took about 1 hour. Next, again I got myself into a quiet place, put the music on and carefully laid out the roll of paper that was going to contain all my words and images that I had cut out….then I got to work. This was the most time consuming part but such a wonderful, inspiring experience, piecing it all together felt really amazing. This part in total took about 10 hours. Hooray, my Vision Wall was now complete and the next challenge was getting this masterpiece of a Vision Wall up on my house wall and also deciding which wall. I live myself, so it felt perfectly right to put my Vision Wall on my living room wall – I wanted to be inspired by it every day and in as many moments as possible, so for me the living room was the perfect home for it. This part took me 30 minutes, after all the Vision Wall is over 3 metres long!! Honestly, I feel so proud of myself for creating the Vision Wall and more importantly its contents and what they mean to me. The words, the images, the order, the colours and the very fact that I committed to achieving it is so inspiring for me. I look at it all the time and I am totally feeling the benefits of producing it and having it there in front of me. And to share this whole experience with you, this part took me 2 hours. But the process isn’t over yet, it’s only the beginning, please read on…….. So now that your Vision Wall is complete, what happens next? Well, as we all know, it is not just about dreaming, we have to create a plan of action to turn our dreams into reality, so that is my next step. For each section within my Vision Wall I will now create an action plan and I will commit to following through on it. And in those famous words by Jim Rohn, “What gets measured gets done”, I will ensure that I am measuring and evaluating my progress, this will all be included as part of my action plan. The more results I get, the more self-motivated I become and the momentum builds into something truly fabulous for me and others around me. I know and truly believe that I will have helped thousands and thousands of people through my work – so everyone involved benefits. “You must be the change you wish to see in the world” Ghandi – so this is where it all starts and I am excited. What are the benefits of creating a Vision Wall? It’s an empowering and spiritual process which I feel was very beneficial for my own wellbeing. It helped me to get especially connected to the core of my being, who I really am, what makes me tick, what inspires me, what my core values are and what will give me life fulfilment. It provided me with the space to think creatively about what I want out of life, what I want for me, what I need to be, do and have to achieve all that I want. It has given me an amazing sense of achievement by doing something for me that is so powerful and impactful in my life. It really has made me much happier inside, I get excited everytime I look at my Vision Wall. It has given me the opportunity to share this experience with you in the hope that if you choose to create a Vision Wall for yourself you feel the real benefits of it the way I have done. 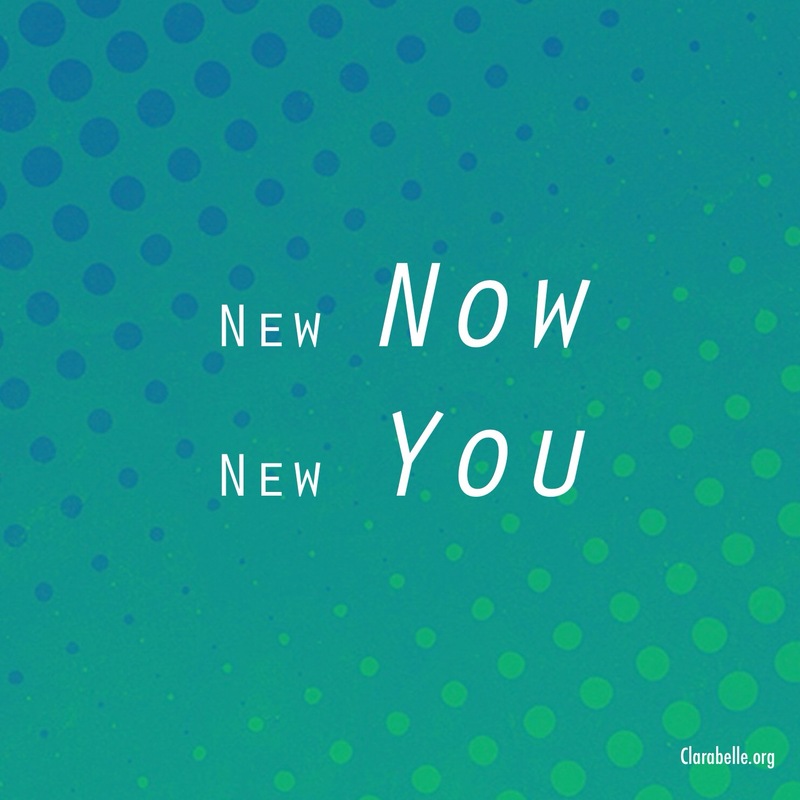 I am closely monitoring and evaluating its impact, I am noticing positive changes in my thinking, feeling and doing – I am behaving in a way that is keeping me more in alignment with the goals on my Vision Wall – I know it is seeping into my sub-conscious in such a positive way when making decisions and choices throughout my day. It makes me feel just great, I can’t really explain how it makes me feel, I just love it, LOVE IT and I welcome and encourage you to create a Vision Wall for yourself one day. In the words on my Vision Wall, I’m away to ‘Celebrate the new me‘. Lots of love Clarabelle. Do you feel you don’t have enough time to create your own Vision Wall? Having a positive attitude will always shine through, enjoying each new day will provide you with the inner fuel to keep your passion alive. Break out, set your mind free, let your heart smile and share the positivity. 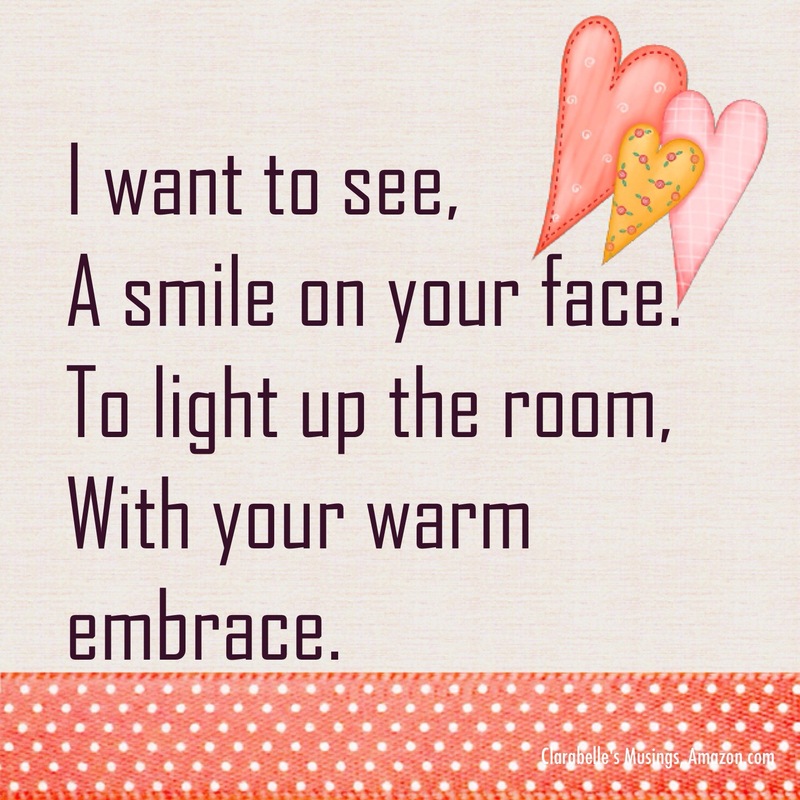 This next poem is for you, have a truly wonderful day. If you want to uplift your mood instantly, just think about all the things in life that you are grateful for, it will certainly put a smile on your face. 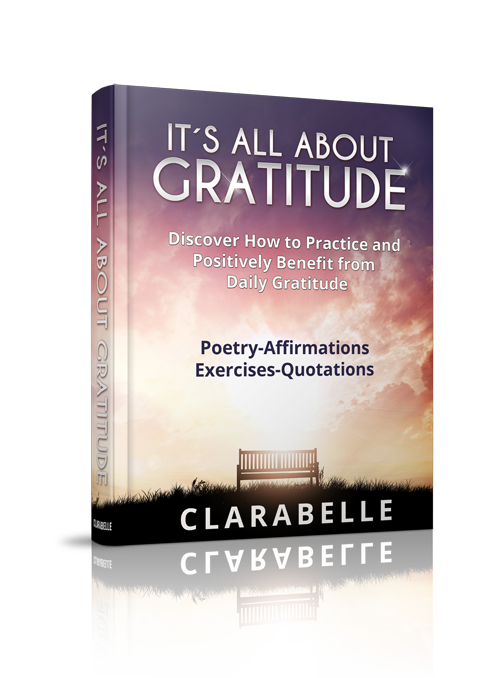 That is what this poem is all about, I wrote it to express my gratitude in the present moment and boost my spirits – I felt great after it. What are you grateful for? Happiness, happiness, where are you? Sometimes we go through life either suppressing our emotions or expressing them, often in the wrong way, for example, we might react to our emotions rather than responding to the situation. A way forward would be to accept the feelings for what they are and then let them go, like passing clouds in the sky. By letting go you create the space in your mind to come up with the right solution for you. This poem is dedicated to the power of ‘letting go’ and moving forward in life. So what is the answer, when this is your way? My day job is an Executive Coach and I work with individuals to break through barriers and make positive changes in their life. Recently I have coached a few people who are doing just that, they are now ready and willing to face the stormy waters to eventually get to the calm sea ahead. The weather may be changeable and challenging at times but by riding the huge waves, it makes us stronger from within. Real change happens from the ‘inside out’, start there first. This indeed inspired this next poem. What’s stopping you, from dancing in the rain? What’s keeping you, from moving away from the pain?